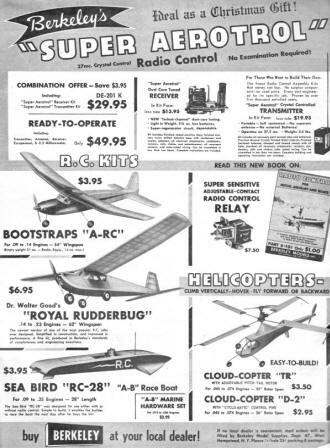 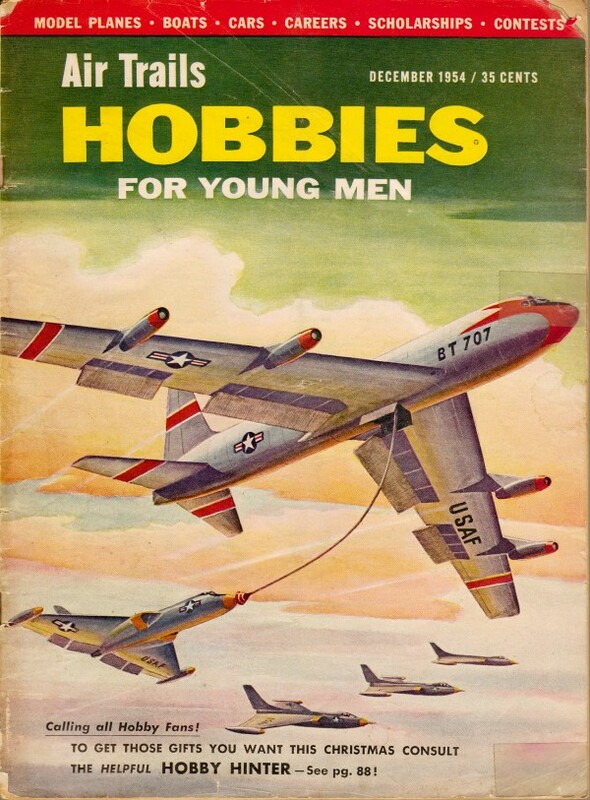 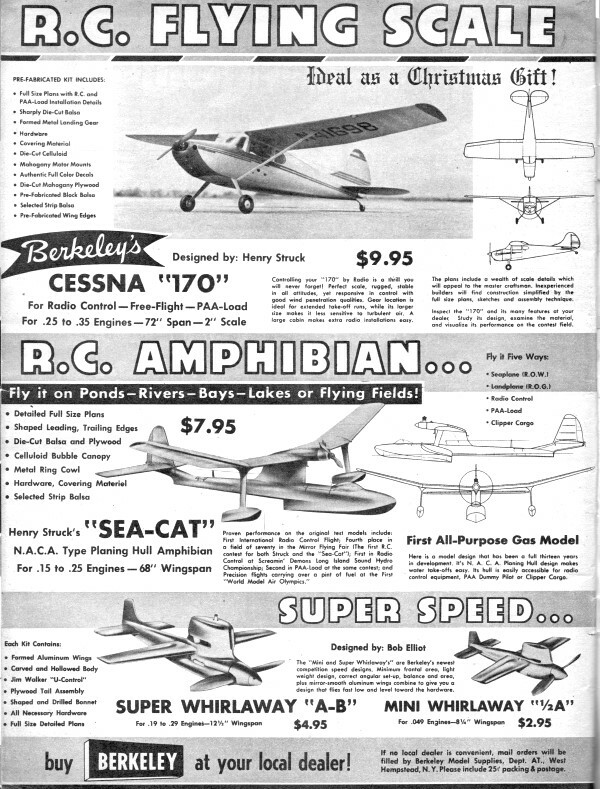 These three pages of Berkeley Models advertisement appeared in the December 1954 edition of Air Trails Hobbies for Young Men magazine. 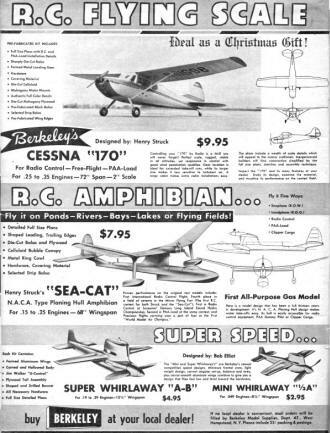 Berkeley Models is no longer in operation, unfortunately (if they were still around, I doubt any company from Berkeley would use the word 'Christmas' in an ad - sad). 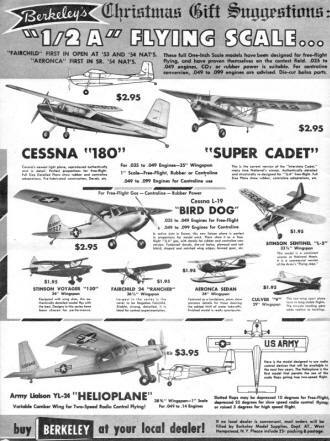 All copyrights (if any) are hereby acknowledged. 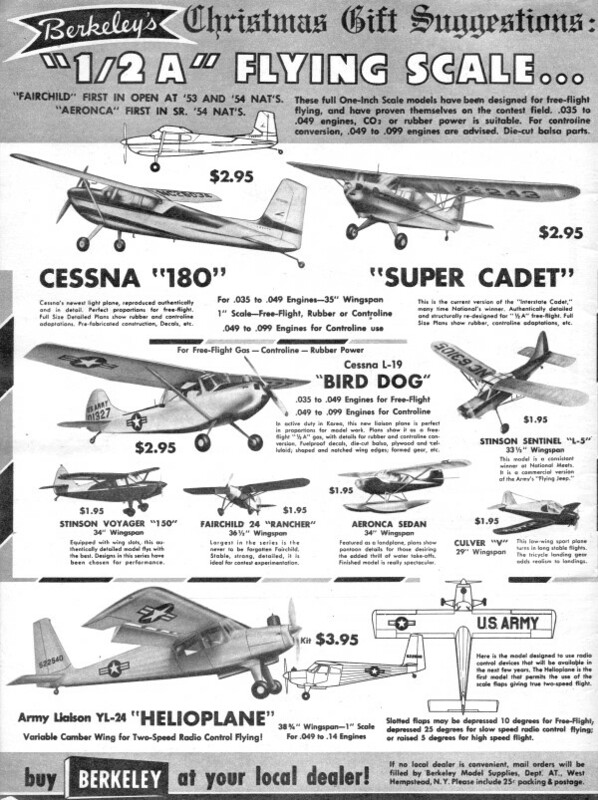 Use the U.S. Bureau of Labor Statistics' inflation calculator to see what items cost in today's dollars. 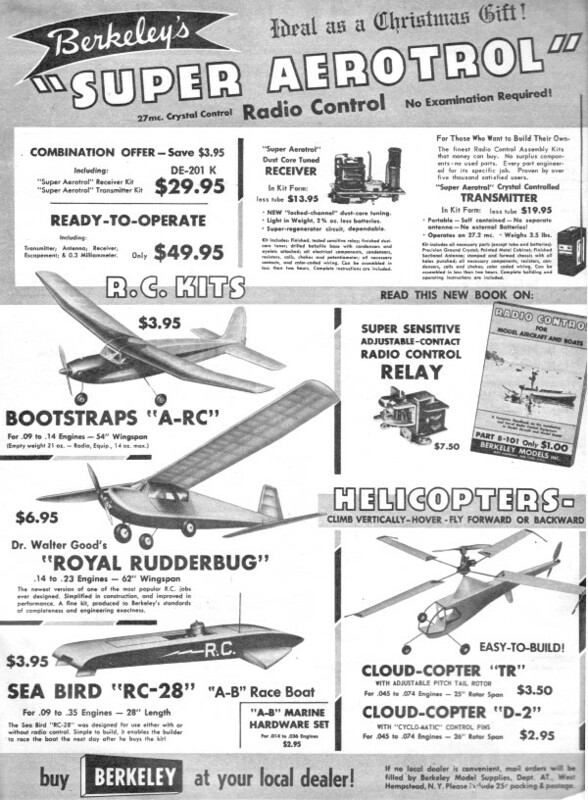 For instance, that $3.95 US Army YL-24 "Helioplane" would be $33.81 in 2013 money.